They say that good things come in pairs. When it comes to hunting gear, a pair of “good things” usually means your wallet will be set back a few paychecks. Well, that’s certainly not the case if you’re looking to get a pair of high-performing, bulletproofed-warranty hunting optics from the Vortex Diamondback series. We’ve been using assorted Vortex optics for the last several years for both hunting and target shooting, and continue to be impressed with their value and performance. That all Vortex optics are covered by the company’s no-catches, fully transferable, lifetime warranty merely certifies that anything in the Vortex line is a no-risk purchase. Furthermore, the Vortex Diamondback series optics have proven to us that performance and price don’t have to be mutually exclusive. And that’s a great thing if you hunt deer like we do with both a rifle scope and binoculars. Many eastern whitetail hunters don’t consider a good pair of binos to be an essential part of their hunting gear. That’s like giving yourself a handicap before you get out of the truck. 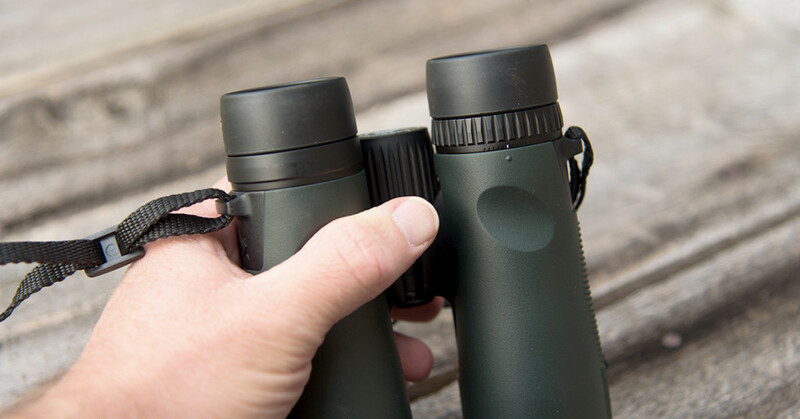 Whether you still-hunt or are a stand hunter, quality binos let you spot deer before they spot you. This gives you the advantage because you can get set to make the shot or you can plan and execute your ambush. This is especially true while still hunting during the late-season, when the foliage is down and deer are able to spot you from greater distances. Even when we’re on the stand, we constantly scan with our binos, probing the brush for incoming deer. Again, this gives you extra time to get into a comfortable position to make your shot. For eastern whitetail hunting, we’ve found the Vortex Diamondback 8×42 to be ideal for woodland and agricultural hunting environments. 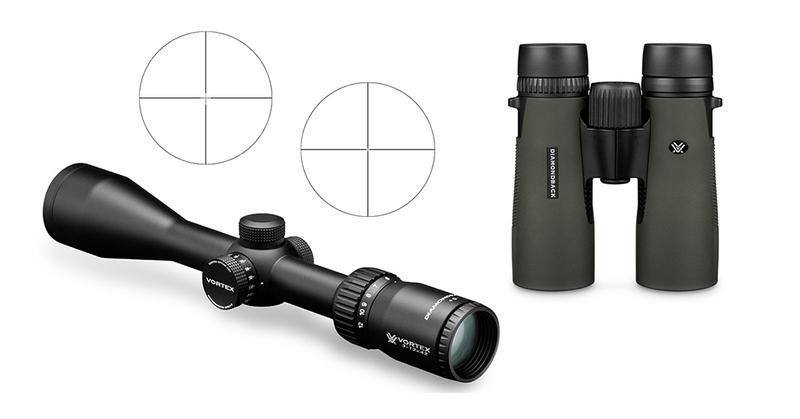 The 8X magnification is plenty for picking deer out of distant brush and tree cover, and the wide 5.3mm exit pupil combines with the 42mm objective lens diameter to give a broad, bright view even in dim lighting conditions. A couple of ergonomic features that stand out for us as early to late-season whitetail hunters are the Diamondback’s light weight and glove-friendly grip. The advantage of lightweight glass (21.8 ounces for the 8×42 model) is, of course, that you can wear these all day without fatigue or neck irritation. As for grip, the lens barrels feature a tough rubber armor coating that not only protects the glass but also provides a positive grip when wearing bulky gloves. The short hinge gives you room to wrap your hands securely around the barrels, and thumb indents on the back side are ideally positioned for a no-fumble grip. Finally, the lens quality of the Diamondbacks is on par with many of the premium optics we’ve used and tested. 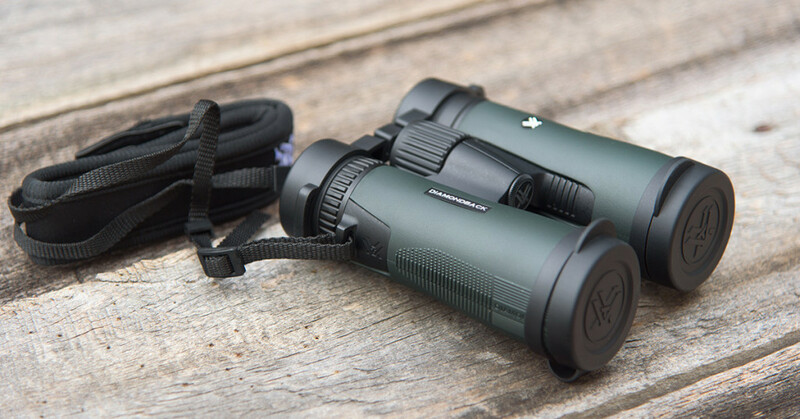 The glass is fully multi-coated for maximum light transmission, and the prisms boast a multi-layer dielectric coating the give the binos exceptional edge-to-edge clarity with no noticeable chromatic aberrations. The growing long-range shooting phenomenon has raised awareness and expectations of hunters and target shooters when it comes to rifle scopes. We know more, and so we demand more from our firearm optics. The problem is, the “more” factors tend to put a serious hit on our equipment budget. That’s why we’ve become quite fond of the Vortex Diamondback HP rifle scope. Available online for around $339 (with the Dead-Hold BDC reticle), this scope has all the form, function, and performance of rifle scopes costing over twice as much. For example, the Diamondback HP features a side knob for parallax adjustment to eliminate parallax and to ensure crisp reticle focus at all magnifications. Speaking of the reticle, two are offered with the Diamondback HP. The Dead-Hold BDC reticle includes elevation and windage subtensions to remove the holdover and wind drift guesswork when shooting at long distances. As a side note, the turrets can be re-indexed to zero following sight-in. 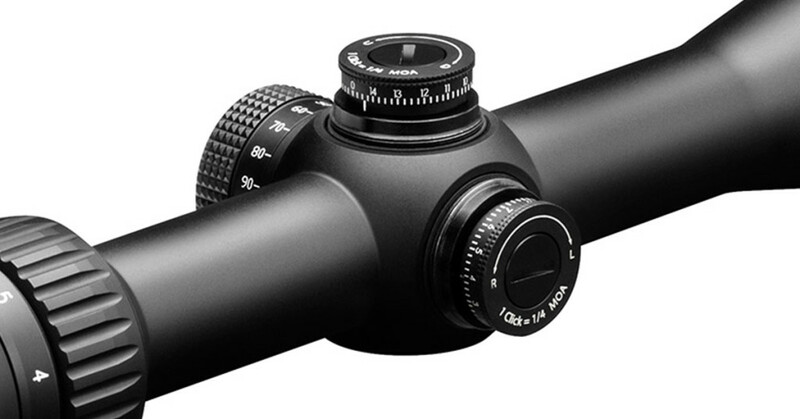 This allows you to dial-on for specific elevation and windage, and then quickly return the scope to your zero setting. As for season-in, season-out durability, the Diamondback HP is built for extreme conditions. Based on a single-piece tube construction from solid-block aircraft-grade aluminum, the Diamondback HP is shockproof, O-ring sealed, and gas-purged to be waterproof and fogproof, and has a low-glare anodized finish that holds up to all the elements and abuse we’ve given it. 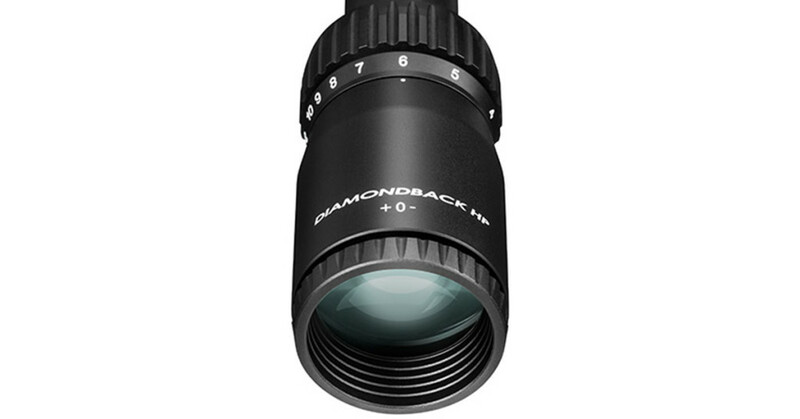 As with the Diamondback binos, the Diamondback HP delivers optimal image clarity and light transmission courtesy of extra-low dispersion lenses and full-multicoating of all air-to-glass surfaces. Again, low-light performance and color-correct imaging goes beyond what you would typically expect for a scope in this price range. As dedicated whitetail hunters, we’re always looking for an advantage in the field. We also look for good value and performance for our money. 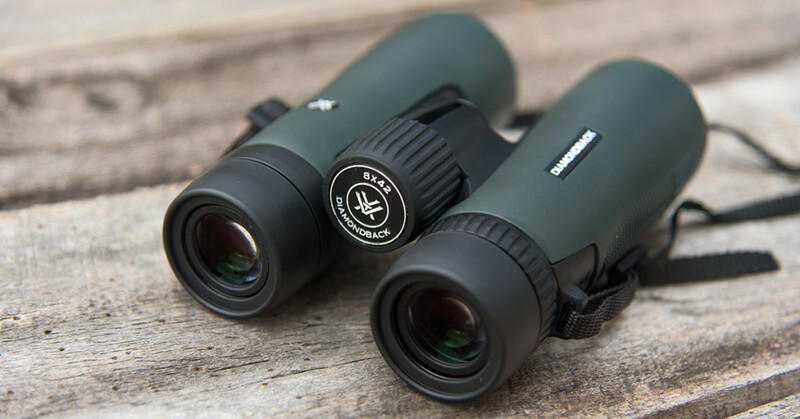 From our experience, the Diamondback line of binoculars and scopes from Vortex Optics delivers both. And with the Vortex VIP warranty backing them up, we’ll be enjoying both for many years to come. Although Vortex Optics is one of our sponsors, the views expressed in this article are those of the author. 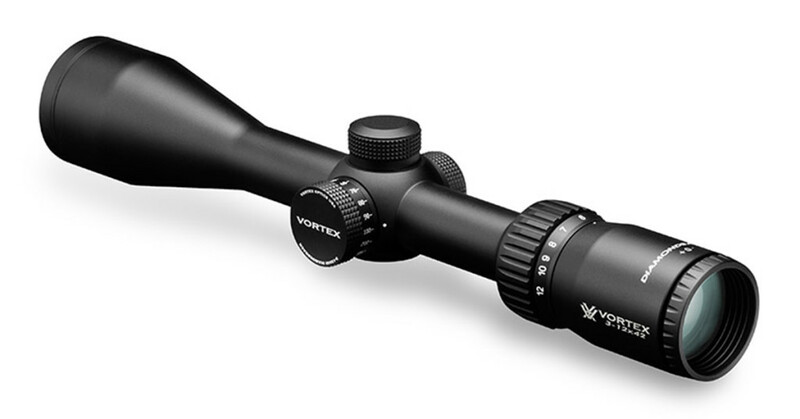 HuntDaily.com receives compensation from Vortex Optics in various forms to help promote their products.